Maddy loves to recreate situations from shows that she has watched. Like waving and exclaiming, “Bye bye snowman!” as the bath water swirls down the drain, copying Caillou’s actual snowman that he made in the bathtub. It’s adorable when Maddy says it about the bath water. Considerably less adorable the time that she made several trips up and down the carpeted stairs, in her winter boots, to transport dirty snow to the tub. As if I needed more reasons to hate that guy! 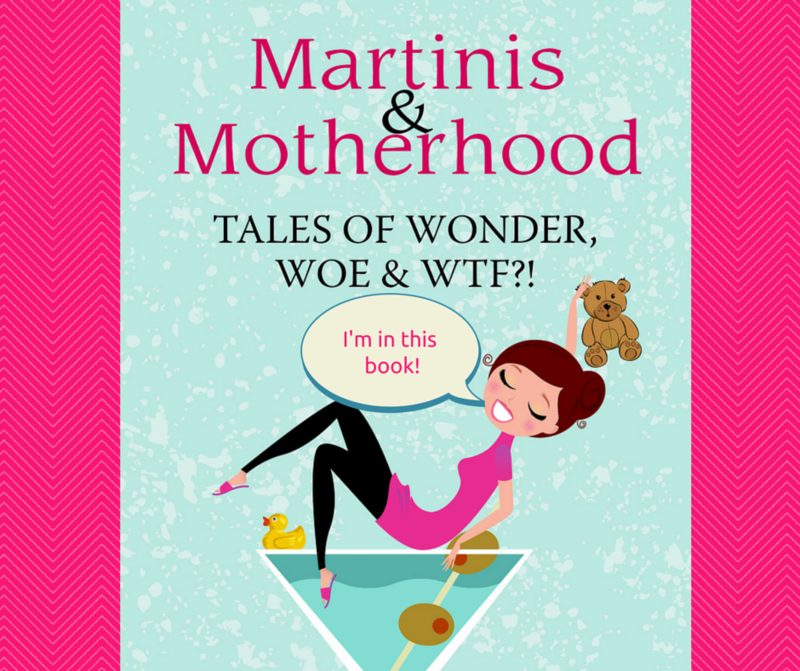 We made pizzas together one time, which started off well, went a bit wonky when she began tossing dough high in the air at my cobweb-covered popcorn ceilings, and became downright perplexing when she insisted that the pizza was all wrong without mushrooms. She does not eat anything from the vegetable family, aside from very specific forms of potato, and we don’t usually order mushrooms on our pizza, so I didn’t know where that was coming from. Luckily I managed to convince her that we could press on without them. It may have been something along the lines of, “Why would someone voluntarily put a topping that is scientifically classified as a fungus, and grown in feces, on an otherwise delicious circular meal?! ?” Of course the dough had already hit the floor once or twice, and may have been worn as a hat at one point, so maybe it was too late to worry about food contamination standards. It all got really strange though when she became unwavering in her insistence that the pièce de résistance for her dinner creation was a sprinkling of…spiders! What? After a brief inspection of the pizza to see if the owners of the cobwebs were about to be unwitting passengers into the oven, Maddy’s sisters came in to explain it to me. Caillou (surprise surprise it’s that jerk again) made pizza with his friends one day and the toppings were pepperoni, mushrooms, and spiders. Of course they were. Through some sweet mercy, Maddy has taken a break from her trouble-making bad boy, and has resumed her Strawberry Shortcake obsession. This seemed pretty good, except she plays the same sequence over and over. It’s particularly delightful when I wake up in the night to find her in my bed blasting it in my ear. Berry Berry Bonkers! 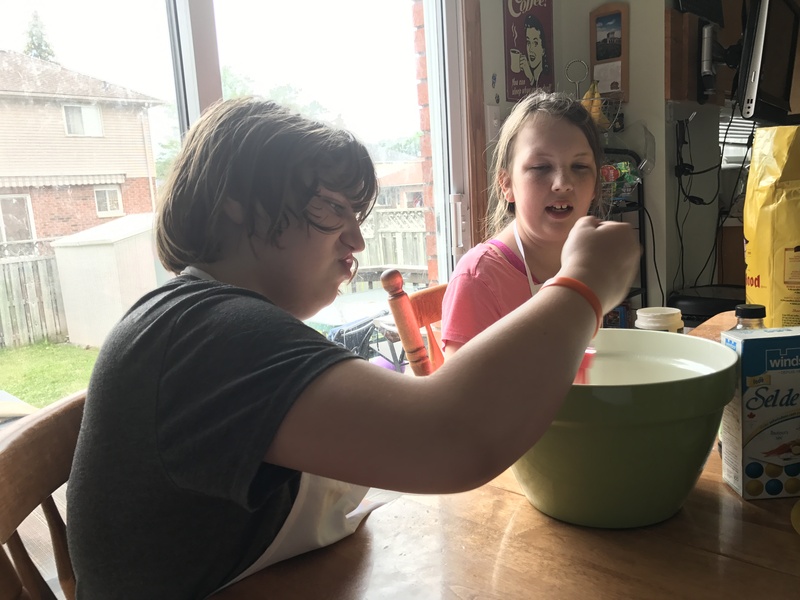 Maddy’s latest mission is to make a “Friendship Cake.” This aligns perfectly with Melanie’s recent cooking and baking interest. 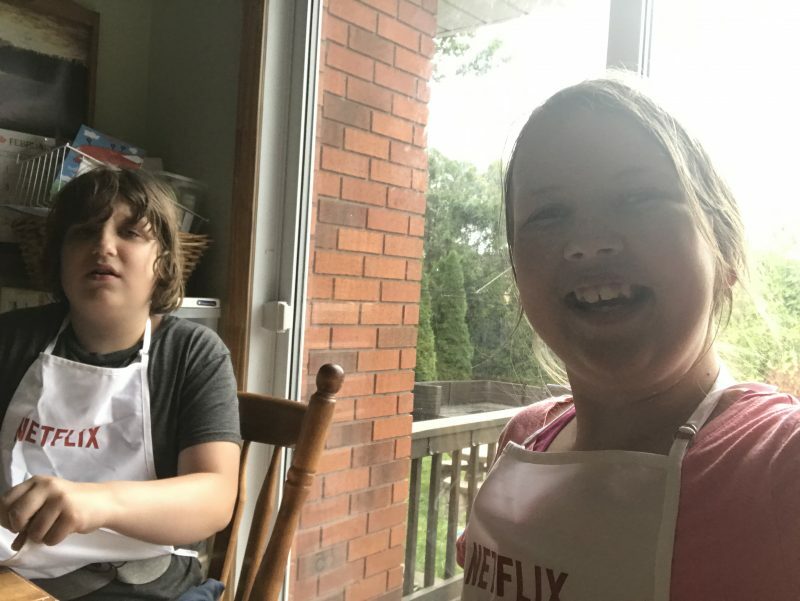 Melanie was excited to have an excuse to bake, and possibly to have an accomplice to pin the messy kitchen on, so she was very quick to offer to bake a friendship cake with Maddy. This kid of mine definitely didn’t get my lazy baking genes though and jumped hard-core into making a cake from scratch. Geeze, show off much? The confidence took a bit of a hit though when Melanie decided to google the cake that she had promised to make. 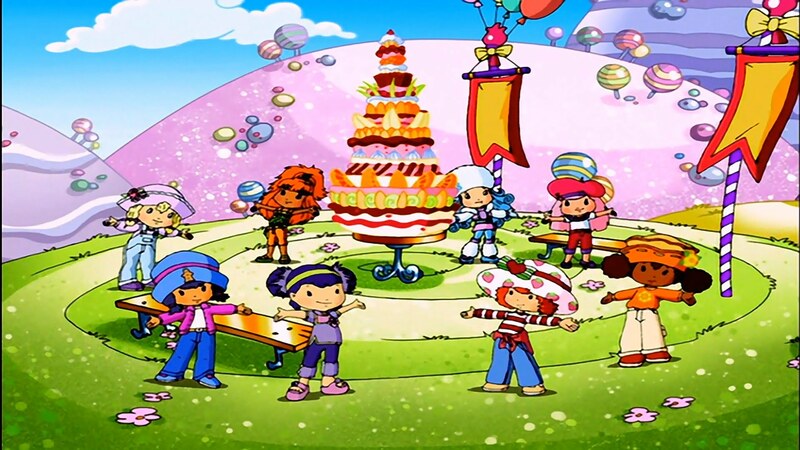 Strawberry Shortcake must really like her friends! That or they are straight-up using her for her confections. A sugar high would explain how they manage to tolerate her incessant “Berry berry this, and berry berry that!” cult speak. The cake was delicious, Maddy was happy, and I have no reason to bake anything ever again, now that we have an in-house baker, so I am thrilled. 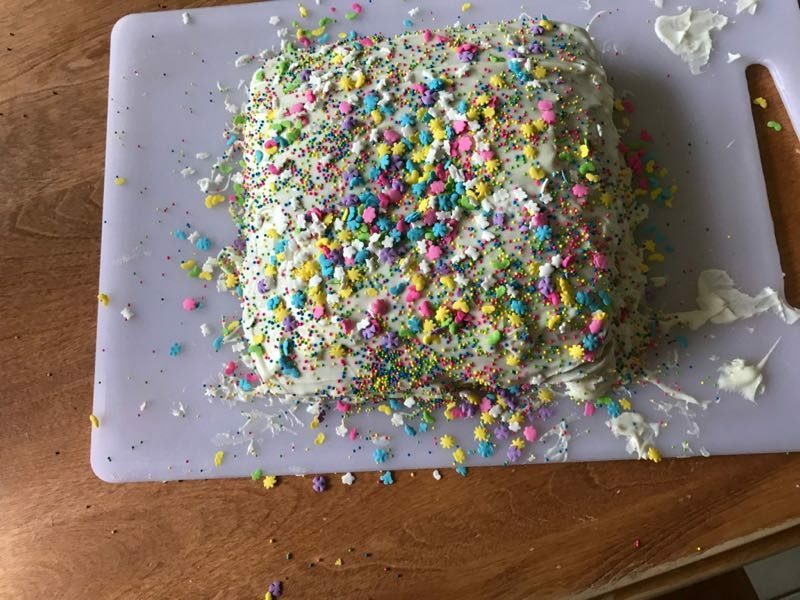 It was perfect, other than I think they didn’t use quite enough sprinkles. Actually I am surprised they managed to divert that many sprinkles away from Maddy’s mouth…she usually treats the sprinkle shaker like a shot glass. 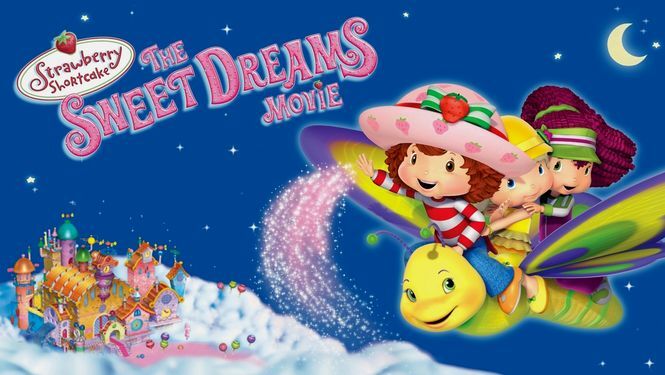 Maddy has moved on now to Strawberry Shortcake’s The Sweet Dreams Movie, available on Netflix. It’s about the Peculiar Purple Pieman stealing all the dreams in Strawberryland. This may explain why she keeps turning her light on in the middle of the night and going back to sleep. Don’t worry Maddy, he can have my dreams…they’re more exhausting than my real life, and that old Purple Pieman will soon be heading for a beach vacation to recover from them. In the meantime, I’m hoping Strawberry Shortcake and Caillou get together and collaborate on an episode about puberty, because that would actually be helpful! She’ll have to tone down the perkiness, and Caillou may have to actually dial up the complaining. I’ve got a working title of You’d Be Berry Berry Bitchy Too Caillou! Disclosure: I am a member of the Netflix Stream Team, and I receive benefits in exchange for sharing my thoughts about what’s on Netflix. My awesome show pitches though are why they really keep me around.